Worldwide, the ecological condition of streams and rivers has been impaired by agricultural practices such as broadscale modification of catchments, high nutrient and sediment inputs, loss of riparian vegetation, and altered hydrology. Typical responses include channel incision, excessive sedimentation, declining water quality, and loss of in-stream habitat complexity and biodiversity. We review these impacts, focusing on the potential benefits and limitations of wood reintroduction as a transitional rehabilitation technique in these agricultural landscapes using Australian examples. In streams, wood plays key roles in shaping velocity and sedimentation profiles, forming pools, and strengthening banks. In the simplified channels typical of many agricultural streams, wood provides habitat for fauna, substrate for biofilms, and refuge from predators and flow extremes, and enhances in-stream diversity of fish and macroinvertebrates. Most previous restoration studies involving wood reintroduction have been in forested landscapes, but some results might be extrapolated to agricultural streams. In these studies, wood enhanced diversity of fish and macroinvertebrates, increased storage of organic material and sediment, and improved bed and bank stability. Failure to meet restoration objectives appeared most likely where channel incision was severe and in highly degraded environments. Methods for wood reintroduction have logistical advantages over many other restoration techniques, being relatively low cost and low maintenance. 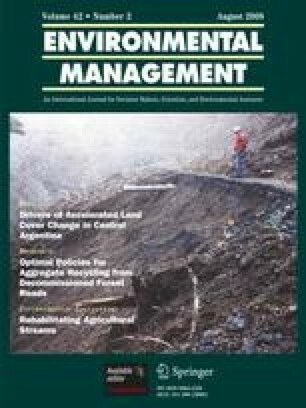 Wood reintroduction is a viable transitional restoration technique for agricultural landscapes likely to rapidly improve stream condition if sources of colonists are viable and water quality is suitable. This review was written as part of the senior author’s Ph.D. studies, supported by a scholarship from the School of Applied Sciences and Engineering, Monash University and in-kind support from the Department of Primary Industries, Ellinbank. We thank Dr. Wendy Wright and Dr. Nick Bond, R. Lester’s thesis examiners, and four anonymous reviewers for their constructive comments on earlier drafts of this manuscript.